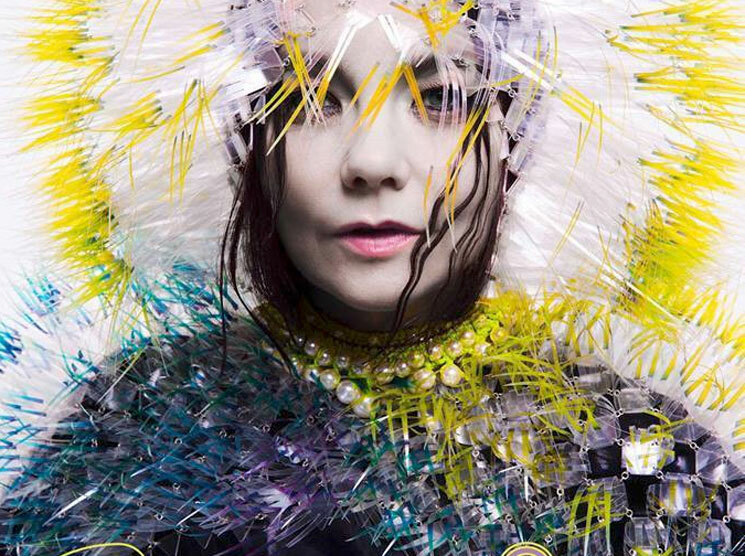 "I back what she has said 110%"
Last week, Björk further detailed alleged sexual harassment against her by a Danish director, thought by many to be Lars Von Trier. While Von Trier has denied the allegations, the founder of Björk's longtime label home One Little Indian has spoken in backing the Icelandic icon. In a statement posted to Facebook today (October 25), label head Derek Birkett wrote, "I have read the lies written by Lars and his producer Peter about Björk — and feel compelled to speak out and put the record straight. Over the last 30 years the Dancer in the Dark project is the one and only time she has fallen out with a collaborator." Birkett said the falling-out was "result of the director's ongoing, disrespectful verbal and physical abuse which continued after both Björk and myself demanded that he stop behaving this way," adding that "Björk completed the film out of respect for the cast and everyone involved." He added, "I have worked with Björk for over 30 years and have never made a single statement or interview regarding our work together. This time is different. I feel compelled to publicly speak out in fierce support of Björk in regards to her terrible experiences working with Lars Von Trier, and I back what she has said 110%." You can read Birkett's statement below.